Professor Arnold George Dominic Maran delivered his Semon Lecture in 1990 at the Royal Society of Medicine. In his lecture he explored the salivary gland, starting with the history behind whose domain it came under and then later moving onto our ability to diagnose salivary gland disease accurately. Maran particularly emphasised the fact that salivary gland tumours are relatively often misdiagnosed either as benign or malignant and so begged the question of whether practice should be changed or improved to accommodate this. Arnold Maran was born on the 16th of June 1937 in Scotland. He co-authored with Philip Stell (a previous Semon Lecturer) the leading textbook in the specialty, Head and Neck Surgery. During his career, he presented many eponymous lectures and received a number of major awards, such as the Walter Jobson Horne Prize from the British Medical Association (named after the third Semon Lecturer). 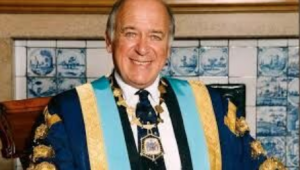 He was also elected as President of the Royal College of Surgeons of Edinburgh and President of the Laryngology Section of the Royal Society of Medicine. Next Next post: Revision of Classification of Laryngeal Cancer: Is it Long Overdue?